← WikiLeaks has survived 7 years! Happy Birthday and Many Happy Releases!! 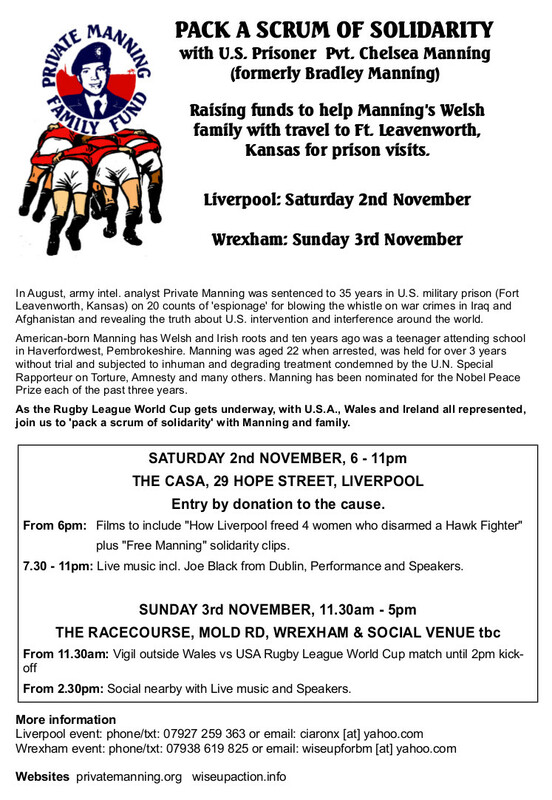 Pdf file downloads: Info sheet | Colour poster | Monochrome poster | Flyer front | Flyer back. 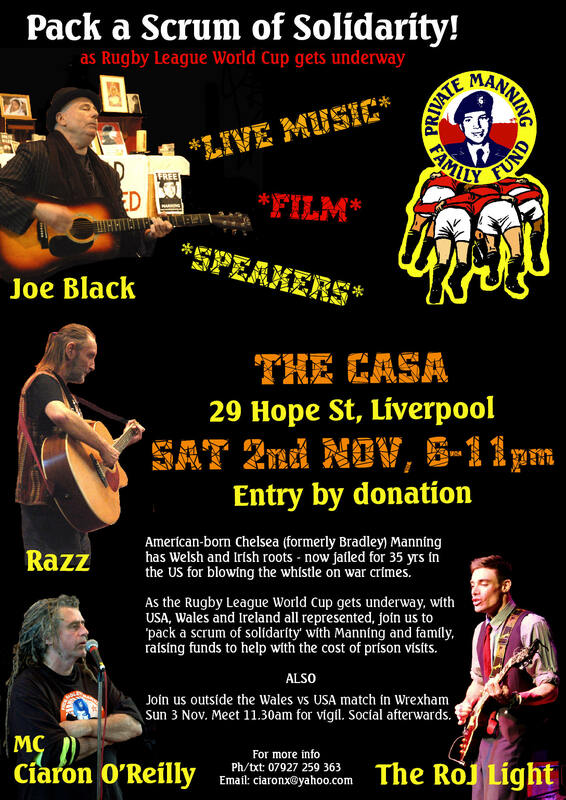 Gallery | This entry was posted in Announcements, Manning and tagged anti-war, benefit gig, Bradley Manning, Britain, Chelsea Manning, Liverpool, rugby league, solidarity, vigil, Wales, Wrexham. Bookmark the permalink.